Stop waiting on release cycles. 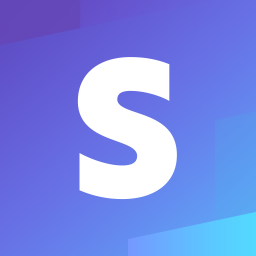 Standard Library is an all-in-one API development, management and hosting solution that lets you build integrations — Slack apps, Stripe webhooks, you name it — in minutes instead of days. Perfect for cross-functional teams, always powered by code. Hey can someone invite the new hire to the channel? Do you need to build a simple API-based integration quickly? We manage fleets of servers behind the scenes for you the scale up and down to meet the needs of your APIs so you don't have to worry about it. On top of that, Standard Library has a line-up of great pre-built integrations for you to get started with right away. Start with an example like Slack or Stripe, learn about and build anything else you'd like with help from the community. Standard Library’s product is built with efficiency in mind: we take care of the technical overhead so you can get right into developing. On top of hosting APIs and auto-scaling our cloud infrastructure to match incoming request volume, we offer a host of other features. Enjoy! We understand the the importance of the right tool for the job, and whether you're just starting out with development or you're a seasoned pro, we have just what you need. You can now immediately create, modify and deploy APIs without any complicated installation steps. Code on Standard Library is a full-featured code editor, available directly from your web browser. Crack your knuckles and crank out your next project in minutes. You can even try it here! Seasoned pro? We have your back — we're developers, too. We provide a full command line tool interface so that you can manage APIs and projects from the coding setup you've perfected over the last five years. Be it VSCode, Atom, vim or emacs, you can work right from your terminal. Eager to build? Let's do it! Available quick-start tutorials will have you building professional-quality integrations and APIs connected to your favorite services in minutes. Give one a try! Don't know where to start? You can try a Slack applications if you're a beginner — don't be afraid to dive deep, though. Here's a sneak peek of what others are shipping this very moment. If you're not sure where to start, this might give you some inspiration! If you want to build private APIs, we support that as well — these are public releases. You can keep up to date on the latest and greatest new products and features by following our blog — updated bi-weekly! Sign up and build your next API in a few clicks! > "Welcome to Standard Library. :)"